Cryptocurrency investors are grappling with how to properly report their transactions to the IRS with the April 17 tax filing deadline fast approaching. It’s a daunting task, given the lack of guidance from the Internal Revenue Service and the fact that these investors—who saw cryptocurrency valuations reach peak levels in 2017—may owe thousands of dollars in taxes. Bitcoin, one of the most well-known digital currencies, surged to an all-time high of $19,511 in mid-December. To top off these concerns, investors could face potential penalties and interest for incorrect disclosures or failure to comply. Tax practitioners offered Bloomberg Tax recommendations and insights for investors prepping their 2017 tax returns. How Should Gain, Loss Be Reported? According to IRS Notice 2014-21, cryptocurrencies—or “virtual currencies”—are treated as property for federal tax purposes. Taxpayers must report gain or loss anytime they sell their cryptocurrency assets or exchange them for other types of property, including other forms of cryptocurrency. If the fair market value of the property or cash received in exchange for the cryptocurrency exceeds the taxpayer’s adjusted basis in the currency—generally defined as the original purchase price of the asset—the taxpayer has taxable gain. The reverse is true when calculating a loss. 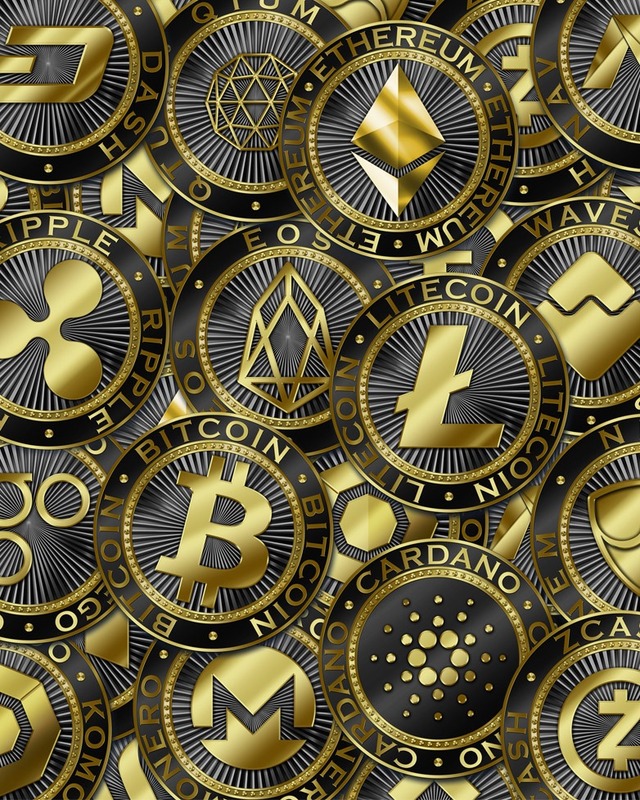 “Coming up with a gain number seems to be the most difficult part” for most taxpayers, said Evan Fox, practice leader in the Digital Asset Advisory Services group at Berdon LLP in New York. Taxpayers aren’t going to receive a Form 1099—used to disclose income other than wages, salaries, and tips—as they would for dividends and interest income, he said. When calculating gain or loss in the crypto space, taxpayers need to ensure they are using reasonable and consistent methods, Fox said. That way, even if the IRS determines they owe additional tax and interest, they should be able to avoid penalties. “Acting reasonably is often what gets the taxpayers out of paying any penalties,” Fox said. Taxpayers should keep detailed and accurate records of their transactions. “The challenge for a lot of our clients is having records that are complete,” said Jason M. Tyra, of Jason M. Tyra, CPA, PLLC in Dallas. The default position when there are missing trades is to assume a cost basis of zero, which can really hurt taxpayers that began investing in the market when values were high, he said. For example, if a person entered the market in October 2017 when bitcoin surpassed $6,000, having to assume zero basis could result in the taxpayer overpaying by thousands of dollars. Large cryptocurrency exchanges, such as Coinbase Inc., will often keep full records of investor transactions, Fox said. Coinbase’s website says it has launched a “Cost Basis for Taxes” report to help its customers file their taxes. Lesser-known exchanges, however, may delete transaction records after a certain time frame or not keep them at all, so it’s important for taxpayers to be proactive and document that information on a regular basis, Tyra said. Taxpayers should be aware that small transactions, even those amounting to just a few U.S. dollars, must be reported to the IRS. For example, if a person uses bitcoin to purchase a cup of coffee and it has appreciated by 50 percent, the IRS treats the transaction as if the person sold the cryptocurrency on that date for the U.S. dollar equivalent and used that amount to buy the coffee, Fox said. The Cryptocurrency Tax Fairness Act introduced by Reps. Jared Polis (D-Colo.) and David Schweikert (R-Ariz.) in 2017 would allow taxpayers to exclude cryptocurrency transaction gains of $600 or less from their gross income. However, that legislation hasn’t moved beyond the House Ways and Means Committee. It may make sense for some investors to request a six-month extension to file their tax returns, Fox said. However, obtaining a six-month filing extension doesn’t mean an extension to pay. As Intuit Inc. points out on its website for TurboTax—the company’s tax preparation software—if taxpayers get an extension but don’t pay their tax balance by April 17, they’ll owe penalties and interest. Fox suggested that cryptocurrency investors come up with a best estimate and pay that amount by the April deadline, or as much of the total balance as they can. Fox said he recommends taxpayers take a conservative approach in “gray areas,” such as like-kind exchanges. Some practitioners take the stance that investors can use like-kind exchanges when trading one cryptocurrency for another. A like-kind exchange is a tool under tax code Section 1031 that allows taxpayers to postpone paying tax on the gain of a sale if the proceeds are reinvested in similar property. In a recent blog post, Fox argues that the code section, along with IRS regulations, revenue rulings, and private letter rulings, indicate that historically the agency has only permitted a wide reading of the definition of “like-kind” for real estate. For this and other reasons, he suggests that cryptocurrency investors take a conservative approach and not apply the Section 1031 exception to 2017 transactions. Starting in 2018, it’s clear that like-kind treatment can’t apply to crypto-for-crypto trades because Congress limited the exception to real property under the 2017 tax act. Lisa M. Zarlenga, a partner with Steptoe & Johnson LLP in Washington who advises clients on tax issues relating to blockchain and digital currency, said she gauges her client’s risk tolerance level when determining whether to apply like-kind treatment to a cryptocurrency transaction. Zarlenga said her firm considers the blockchain each currency is on, their specific characteristics, and the overall similarity of the two currencies. How Should ‘Hard Forks’ Be Treated? Another gray area is the treatment of “hard forks.” A hard fork occurs when there’s a change to the software of a digital currency that creates two separate versions of the blockchain. For example, there are three official versions of bitcoin: bitcoin (BTC), bitcoin cash (BCH), and bitcoin gold (BTG). After a hard fork takes place, the original owner of the cryptocurrency retains its interest in the original coin but also has the right to use the forked coin. The IRS hasn’t issued guidance on the tax treatment of hard forks, and there’s debate among practitioners as to whether the fork constitutes a realization event, thereby requiring taxpayers to report gain from the transaction as ordinary income. There’s also disagreement over what the basis of the new forked coin should be. Arguments on both sides were outlined in a March 19 letter drafted by the American Bar Association Section of Taxation. “It’s possible the IRS could come out with some guidance, which people might be able to retroactively apply,” Zarlenga said. Until the IRS issues guidance, Fox said that’s the route he suggests taxpayers take. © 2018 The Bureau of National Affairs, Inc. All Rights Reserved.